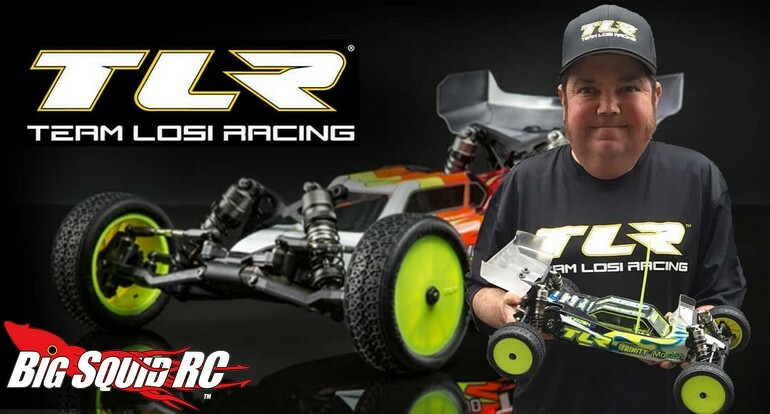 Brian Kinwald Back At Team Losi Racing « Big Squid RC – RC Car and Truck News, Reviews, Videos, and More! Guess who is headed back to TLR? That’s right folks, Brian Kinwald is back driving for Team Losi Racing. For you new hobbyists, Brian is one of the top racers in our sport. More importantly, he is also considered to be one of, if not the best, rc racers of all time. The 1990’s were virtually owned by Brian as he dominated the 1/10th scale racing scene for well over a decade. Some of his races again Masami were legendary, where two true masters of the hobby would get together and battle for world championships. Further still, he is also known of being one of the best tuner/set-up guys on the race circuit, making him that much more valuable. The staff here at BigSquidRC is stoked to see Kinwald back at TLR, we can’t wait to see him tearing up tracks with his 22 4.0 buggy. To get more details on everything TLR related, hit up This Link to visit their website.